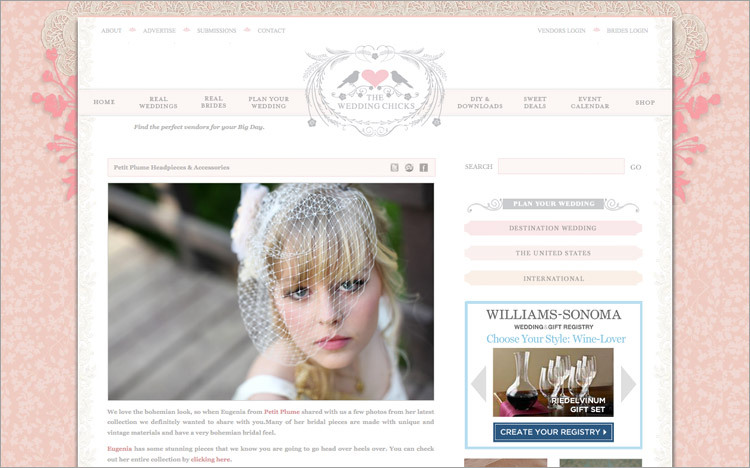 A great big thank you to The Wedding Chicks for featuring the photo shoot I did with Genie of Petit Plume! Not only does Genie design gorgeous handmade hair accessories, but she also did an amazing job styling the shoot and doing hair & make-up on all the models!! I haven’t had a chance to blog the images yet, but I promise to do a full post on the shoot when I get back from Hawaii. In the meantime, head over to Wedding Chicks to check out some photos from the shoot.